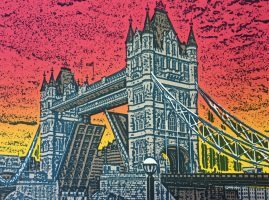 John is one of the few artists in the Peterborough area who works exclusively in printmaking. 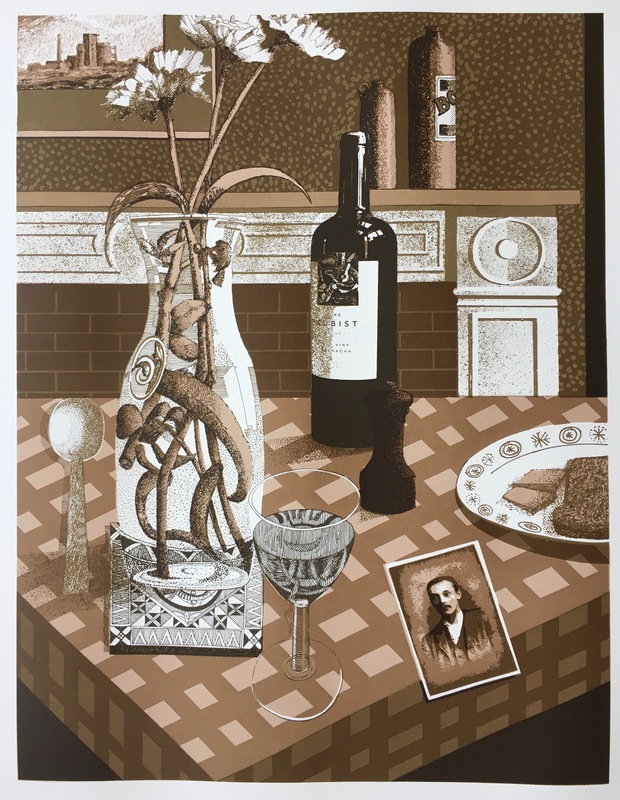 Work is designed and produced in his own print studio in Northborough. 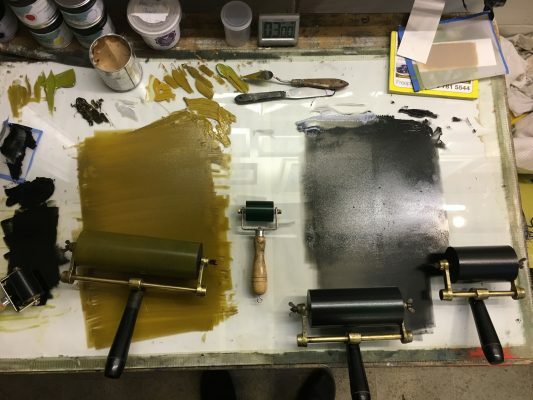 One print can take up to two months to produce, as he goes through an extensive process of proofing before starting to print an edition. 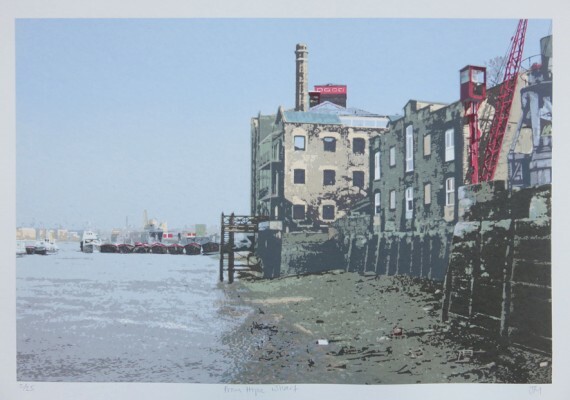 Editions are rarely more than 25 and are printed with acrylic based inks on high quality mould-made papers. They are available framed or unframed. 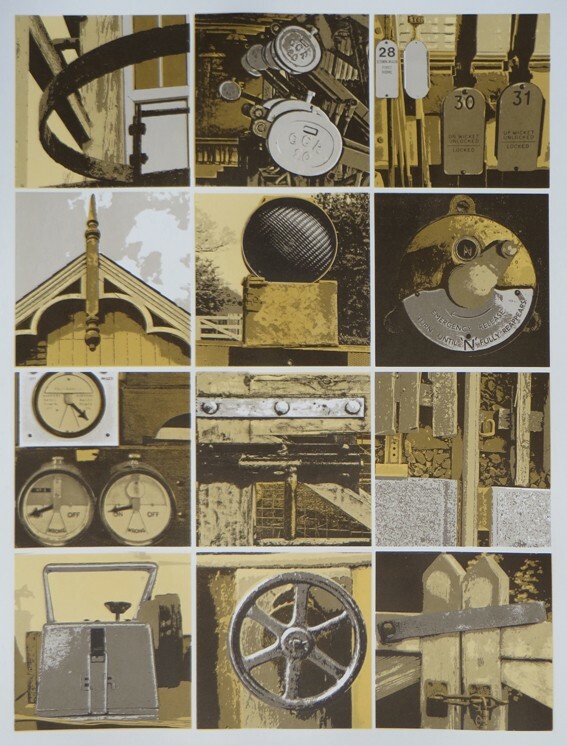 John has been making original prints for over 50 years. His printmaking practice developed radically in 1979/80 when he began a series based on images of the Northampton Arm of the Grand Union Canal. 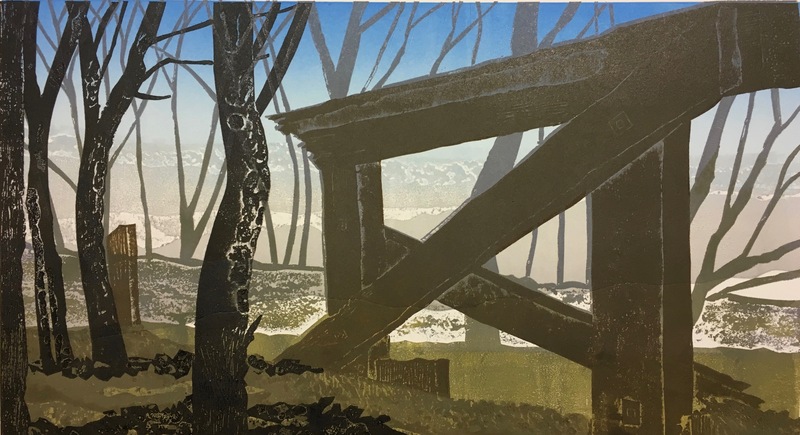 Prints are now produced in small editions in his own studio in Northborough. He is mainly known for his screenprints of the British Industrial heritage: Dockside warehouses (now in the Museum of London’s collection), Signal Boxes and a recent Paper Mill Suite. 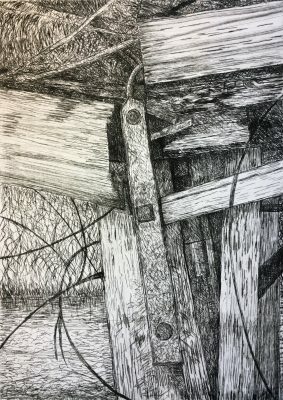 He still continues to experiment with print techniques and subject matter, particularly through a 25 year long “cubist” series. John taught Art in Northampton, Peterborough and Oundle. 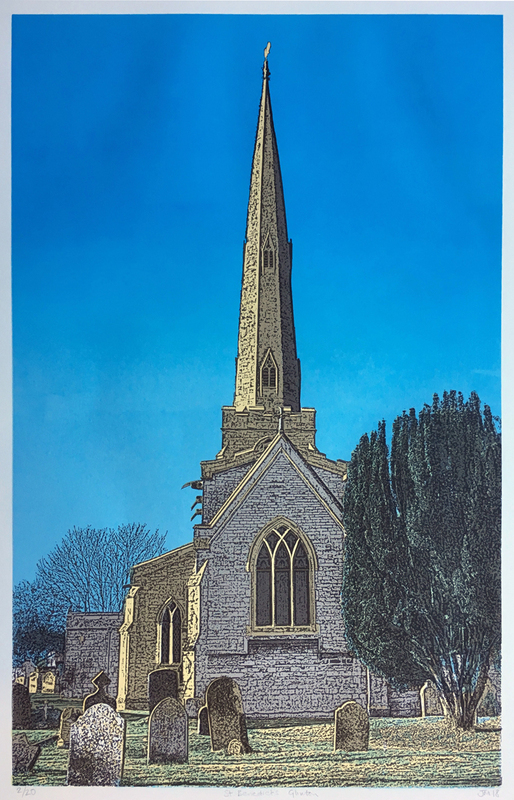 He has recently exhibited in Stamford, Northampton and has had a recent large scale exhibition in Alfred East Gallery, Kettering. I have a new printing press that I am using to print Drypoint and Relief prints. The studio will have “Work-in-Progress” displays. Several browsers with prints available from £10. Selection of greetings cards for sale and free A5 cards of my print themes. Where can see the work now? My prints feature Buildings, Landscapes, Still Life, Railways, Factories, Canals. Images are Local, London and Venetian.